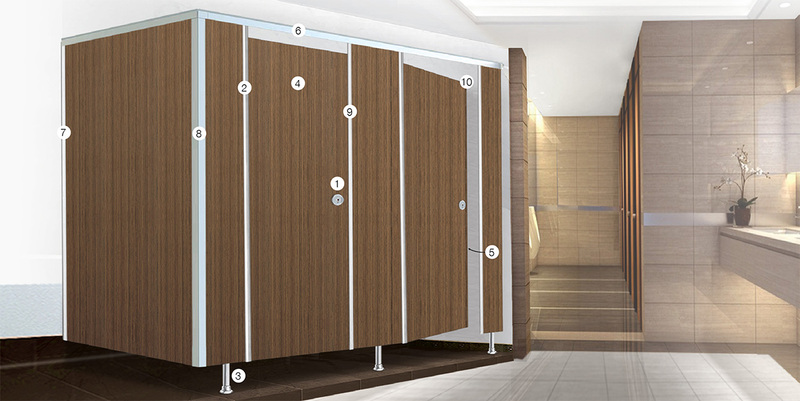 Melamine-faced foam board Series toilet panel are manufactured by prefabricated sandwich panel system under ISO9001:2015 certification Main composite of panel are 26mm foam board and 0.8mm high pressure laminates (HPL) sheets on both sides. HPL sheets are made of multi-layer kraft paper impregnated under high pressure and temperature to create a hard wearing, durable and hygienic surfacing material. 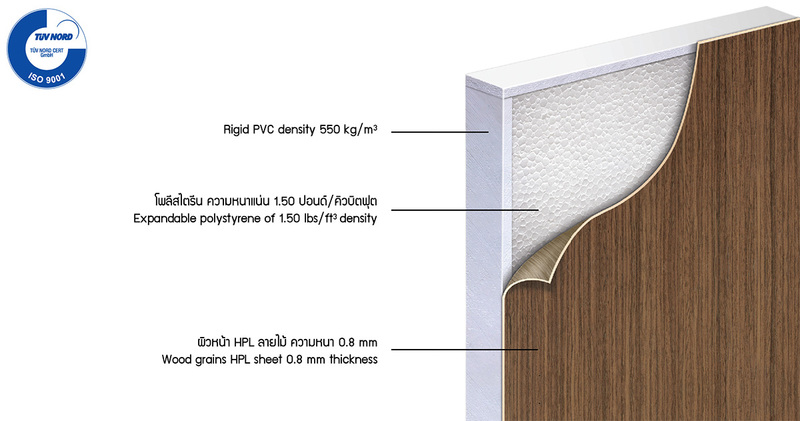 lnternal frame of panel is made of rigid PVC which does not absorb water but offers compatible strength of hard wood (550kg/m3). 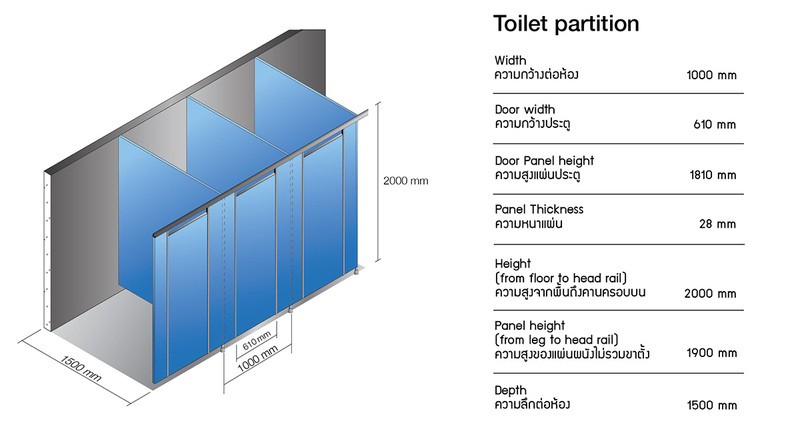 Total panel thickness of 28mm provides superior strength and operational stability yet maintaining light weight property. Panels are installed with complete set of anodized aluminium profile including head rail, U channel, corner bracket, and privacy door liner, door edge finish, and stainless steel fitting.